To meet international requirements as well as serve Nigerians better, Hon. 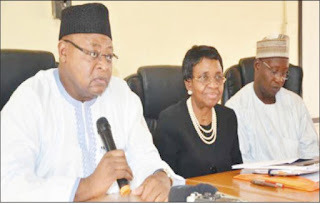 Inuwa Abdulkadir, the Chairman, newly inaugurated Governing Council of the National Agency for Food and Drug Administration and Control (NAFDAC) has announced plans to expand and upgrade the laboratory facilities of the agency. Addressing journalists after a tour of NAFDAC facilities in Lagos, Abdulkadir, also pledged to prioritise staff welfare and motivate the workforce to give their best to the agency in safeguards the health of the Nigerians. Abdulkadir, assured staff of NAFDAC that the Governing Council would ensure the agency got necessary support in order to discharge its regulatory functions effectively. “Our passion is to motivate our staff and provide them with working tools. We are so concerned and passionate about the welfare of the workforce because without motivating the staff, we cannot achieve anything”, he said. “We have seen the facilities and we cannot say all is well, the facilities we have are not really adequate not just in Lagos, but other part of the country. “Some of our African brothers, especially in West Africa, very much depended on this country on so many things from food, drugs and essential commodites, so our laboratories need expansion and upgrading in terms of new technology. Speaking further, Abdulkadir expressed concern over the rising cases of Tramadol abuse in the country especially among youths, pledging the Council’s support to the management of the Agency in tackling the menace. He expressed fears that political thugs may have a field day as election campaigns are drawing close if they have such drugs available, he therefore made a clarion call to all authorities to ensure such activities are checked. Speaking, Prof. Christianah Adeyeye, Director-General of NAFDAC, also announced plans by her agency to launch a national sensitisation programme aimed at educating young people on the dangers inherent in abusing Tramadol. L-R: Alhaji Inuwa Abdul- Kabir, Chairman, National Agency for Food and Drug Administration and Control (NAFDAC) Council Board; Prof. Moji C. Adeyeye, Director General, NAFDAC and Alhaji Tujur Fada Tambuwal, member of the board, during the press briefing on the way forward by the NAFDAC council board, recently. The programme, she said, would be launched in Kano within a month and later be expanded to cover the six geographical zones of the country and would reach 54,000 people at the initial stage. Adeyeye noted that the awareness programme to tackle the abuse of tramadol would later be expanded to reach six states and three senatorial districts.